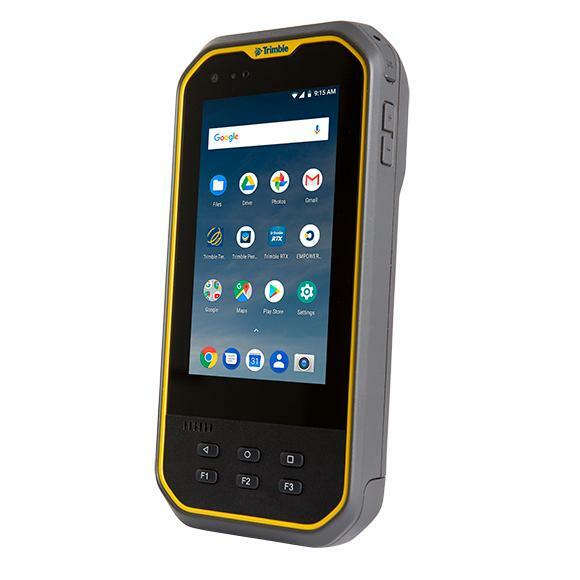 The new Trimble Nomad 5 is a 5-inch fully rugged tablet running on Windows 10 Pro it has a 5” LED display with 440 nit so it can be used outside in daylight. 4G data capabilities (optional) and a Qualcomm® SnapDragonTM 820 processor make this a powerful all-in-one device. Certified and tested to comply with MIL-STD-810G standards and IP65-rated, the Nomad 5 can withstand being dropped from up to 1.8 m.
The new Trimble Nomad 5 come with trimbles new technology EMPOWER Platform. 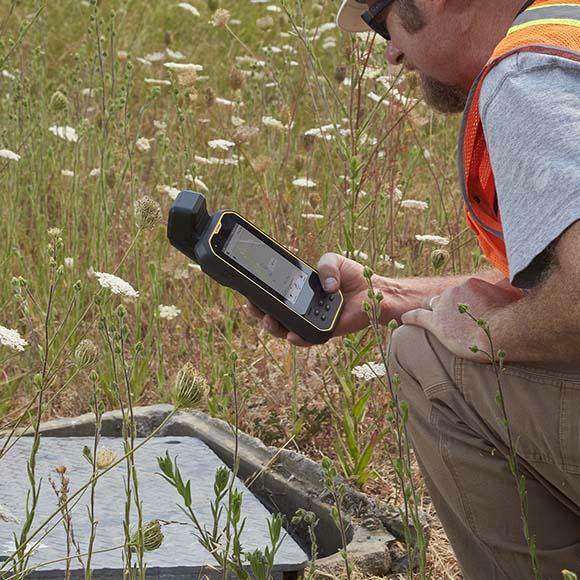 This means that the device can be customized to your needs with the modular expansion system.With Trimble EMPOWER-enabled modules, you can add specialist features such as high accuracy GNSS, or RFID Asset tracking to your devices, or bring your own solution to life through the EMPOWER platform developer program. Who is the Trimble Nomad 5 Best For? The Nomad 5 can be used in nearly any industry but it's ideal for people working in the field because it's drop, dust resistant and rugged. If you work outside in all weather conditions, you’ll appreciate that the screen works perfectly in the rain. Other applications we recommend this rugged handheld for include: warehouses, transport yards, delivery vehicles, production lines and retailers. Need a device that can be used all day without charging? 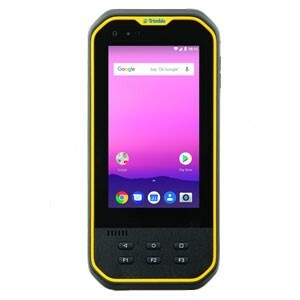 Trimble claims the 3200mAh removable battery included with the Nomad 5 provides up to 10 hours depending on display setting, connectivity, data processing etc. With an optional second battery you can warm swap batteries which means the Nomad 5 can be used heavily on shifts without running out of juice. How Tough is This Rugged Handheld Computer? This is a rugged device, tested to meet the standards of MIL-STD 810G and IP65 rated, but what does that mean in practical terms? MIL-STD is a standard set by the US military to measure the durability of equipment used by soldiers in the field. This means the device is certified to be “gravity drop resistant” from a height of 180 cm. IP65 rating determines how waterproof and dust proof a device is. To be IP65 rated a device must be tested and found to withstand dirt, sand and dust. Want to know more about the Nomad 5? Talk to one of our rugged hardware experts on 1300 131 933 or contact us online.